"Booklist" raved that "Best Friends, Occasional Enemies "was "one big gabfest with your best girlfriends, whatever their age," and now, in "Meet Me at the Emotional Baggage Claim, " the mother-daughter duo of Lisa Scottoline and Francesca Serritella continue the conversation with more hilarious and honest tales of life inside an ordinary, extraordinary family. These stories will make you laugh, cry, and call your mother, daughter, and all your girlfriends. 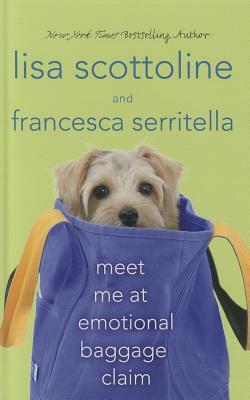 LISA SCOTTOLINE is "The New York Times" bestselling and Edgar-Award winning author of eighteen novels. She has 25 million copies of her books in print in the United States, and she has been published in twenty-five countries. She is currently serving as the president of the Mystery Writers of America. She lives in Philadelphia with an array of disobedient pets.